DAYTON — The Miami Valley Alzheimer’s Association has announced that Lisa Coker has been named the honorary chairwoman of the 2019 Dayton Walk to End Alzheimer’s. 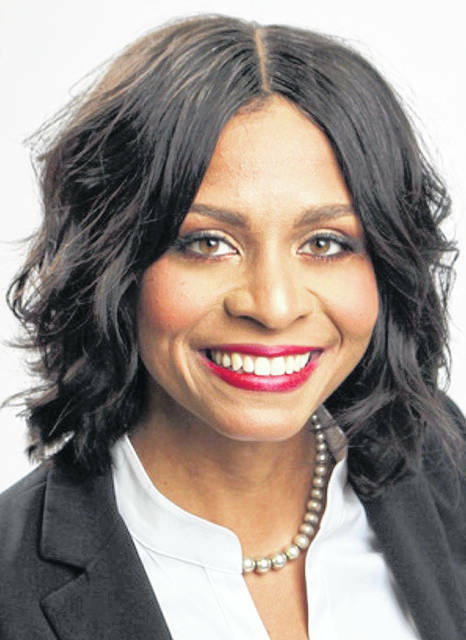 In her role, Coker, who is CEO of Infinite Management Solutions LLC, will assist the association in raising awareness and support for the Alzheimer’s Association and the Walk. The 2019 Dayton Walk to End Alzheimer’s is the largest local fundraiser the association has. Last year, the Dayton Business Journal named the Walk to End Alzheimer’s the Miami Valley’s second-most successful nonprofit fundraiser based on revenue. Coker’s company, Infinite Management Solutions LLC, is a woman veteran-owned, certified, small business which primarily partners with middle-market and large organizations in both private and public sectors. Coker is a proud United States Air Force veteran. Throughout her career, she has earned a reputation as a trusted partner, dynamic facilitator, outstanding problem-solver and accomplished professional. As a certified Lean Six Sigma Black Belt practitioner, Coker partners with C-Suite executives to develop their strategic plans and streamline operational processes resulting in reduced operational costs and improved mission effectiveness. Coker has a Bachelor of Business Administration and master’s degree in Organizational Change Management. The Dayton Business Journal recognized Coker as one of the region’s brightest young professionals and named her a 2018 “Forty Under 40” award winner. The Alzheimer’s Association Miami Valley Chapter serves a nine-county region. Last year, about 30,000 people in the region were living with Alzheimer’s with an estimated 90,000 caregivers. Alzheimer’s disease is the sixth-leading cause of death in the United States and the only disease among the top 10 causes that cannot be cured, prevented or even slowed. The 2019 Dayton Walk to End Alzheimer’s will be Oct. 5. For information, visit www.alz.org.